PROGRAM : Short program now available. Deadline of abstracts extended to June 15. The website of BIOELECTRICS 2012 was opened. Welcome you to the 9th International Bioelectrics Symposium (BIOELECTRICS 2012), which will be held in KKR Hotel Kumamoto, Kumamoto City, Japan, in September 5-8, 2012. At present, seven additional American and European Institutions have joined the International Bioelectrics Consortium (IBC). 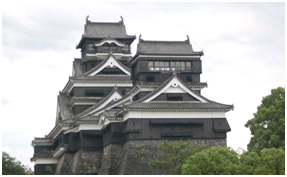 The International Advisory Committee of IBC has decided to hold the 9th International Bioelectrics Symposium in Kumamoto, Japan, on September 5-8, 2012 hosted by the Global COE Program on Pulsed Power Engineering and the Bioelectrics Research Center (BERC) at Kumamoto University. Bioelectrics refers to the use of pulsed power, powerful pulsed electric or magnetic field for extremely short periods of time, non-thermal plasmas in gases or liquids and shock waves, to give novel physical stresses to biological cells, tissues and/or organisms as well as bacteria. Bioelectrics is an interdisciplinary academic field that includes physics, chemistry, biology, medical science, agriculture, environmental, mechanical and electrical engineering, and is expected to open up new science and technology. For example, nanosecond pulsed electric field　can impart an unique stress on cells based on dielectric and electrostatic effects to sub-cellular bio-molecules and organelles, which is expected to lead to new biological reactions. Also, intense pulsed electric fields can be used to kill bacterial spores in liquid. Pulsed electric fields can have effects at the molecular level as well as be used to delivery molecules or eliminate cancer cells. Atmospheric pressure, non-thermal plasmas produced by pulsed power can be used not only for bacterial, viral and chemical decontamination, but also for medical treatments such as wound healing. Plasmas can be created even in liquid and used for the bacterial and chemical decontamination of water environment. Bioelectrics 2012 aims to provide an environment for experts to discuss the current state of the art for learning both in industry and universities. JSPF Technical Committee "Application of Plasma Science to Medicine"